Summary: Hull How will be a name unfamiliar to many, in fact it took me a bit of detective work to actually locate it myself. 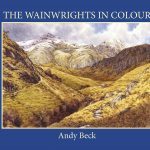 The fell name appears on both the first and second lists of Wainwright’s potential fells for the Pictorial Guides where it was given a height of 1337′. On the one inch maps of the day only the Bartholomew version was the measured height of 1336′ given the name of Hull How which is part of Low Fell near Tilberthwaite. The height of 1337′ was given on the O.S. map but with no name. It is only by referring back to the 6 inch O.S. map published in 1919 does the name Hull How with the measured height of 1337′ appear together. The wider area of the fell is then named as Great Intake, part of Low Fell, and this is the name given to the fell on other lists. 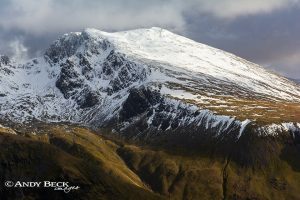 Hull How did not make the final edit for inclusion in the Pictorial Guides and is mapped as part of the Wetherlam chapter and named as Low Fell (no reference to Hull How or Great Intake was made). The name has now fallen out of favour on more recent maps. Ascents of Hull How can be made from the Low Tilberthwaite or Little Langdale areas. Many walkers will bypass this lowly top and it shows little signs of regular visitors. The views from the summit and points of interest in the area make it worthy of exploration (see points of interest below). 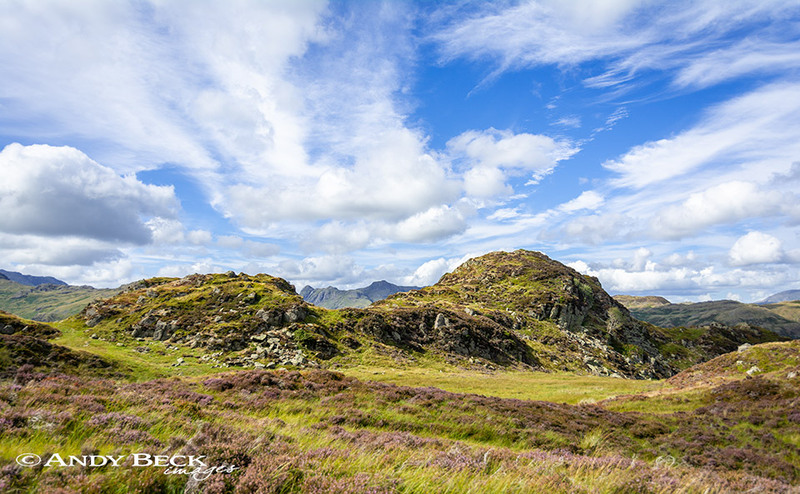 To the west of Hull How is Birk Fell on the shoulder of Wetherlam but as this was not a named or measured height on the 1 inch O.S. map it did not merit inclusion on Wainwright’s lists, it does feature in the Wetherlam chapter though. Topographical details: The fell has been resurveyed to be 1339′ 408m and the summit at GR: NY30283 02165 is marked by a small neat cairn (see below) which would be the Wainwright summit. 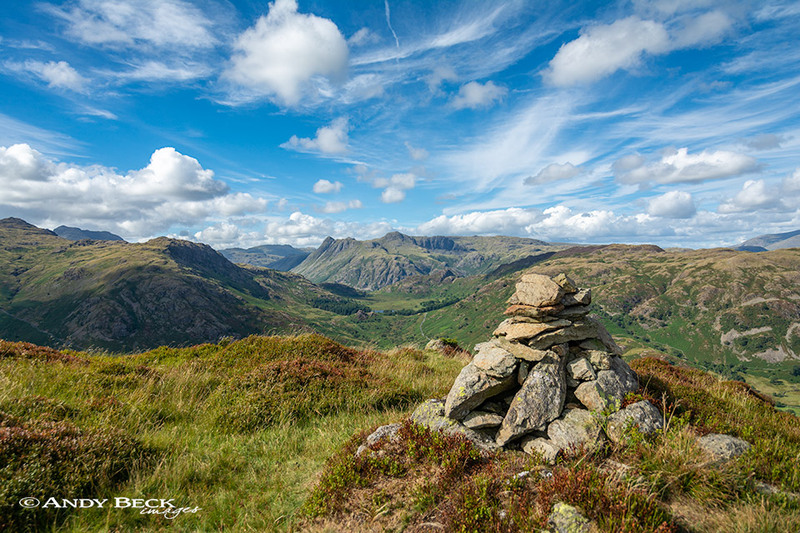 Points of interest: From the summit the views to the north-west over Little Langdale to Great Langdale are impressive, as are those to the east in the direction of the Helvellyn and Ill Bell ranges. The fell has been worked for slate over the centuries and just to the east at Betsy Crag is still an operational two man quarry. Nearby are some huge disused quarries with the remains of huts and shelters. In one of these is the cave where the notorious Lanty Slee hid his illicit goods. Great care should be taken when exploring these old workings. The famous Slater’s Bridge and Cathedral Cave are located at the foot of the fell in Little Langdale, both are popular visitor attractions. Tarns: Little Langdale tarn lies to the north-east in the valley. On the fell itself the only pool of standing water is a small round reservoir near the quarry buildings. Adjoining fells: Wetherlam is to the south west, reached by ascending over Birk Fell and Wetherlam Edge. Nearest Facilities: Car parking, two car parks at Low Tilberthwaite (free with donation boxes). Limited parking in Little Langdale. Pub in Little Langdale The Three Shires Inn. Shops food and accomodation in Coniston village to the south. Star rating: (2.3 / 5) I have given this low fell quite a decent star rating due to the views from the summit and the points of interest.